If you are looking for an ambidextrous mouse with a very robust design and top of the line technology in optical sensors, look no further. 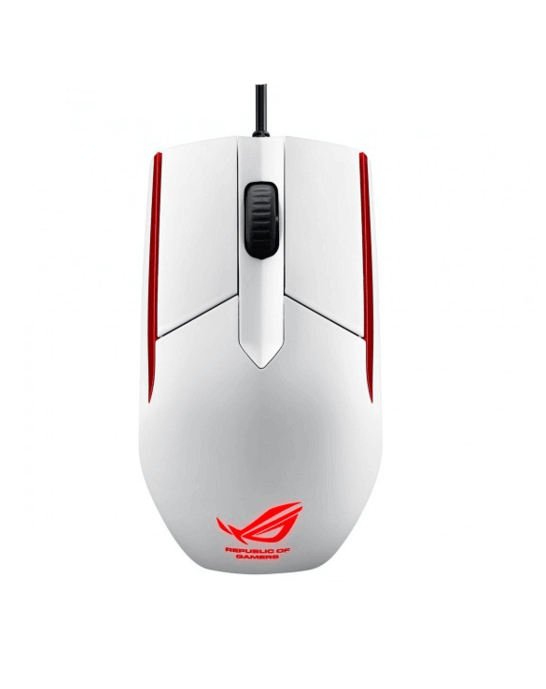 The Asus ROG Sica boasts a Pixart 3310 sensor accompanied by Top of the line Omron switches with a nice glossy finish. The mouse buttons are separate from the body of the mouse, giving you a nice crisp click every time, The Omron switches inside are replaceable with the ROG Sica’s customizable socket. It’s as easy as opening it up, popping it out, and replacing it without solder. The mouse is your standard ambidextrous shape, it lacks side buttons many current generation gamers love, but it makes up for it by being very lightweight and well equipped. The coating of the mouse makes it very comfortable to grip – not too sleek at all. It has a nice rubberized texture on the back (Does not really affect the grip positively or negatively) and comes in black or white! – User-friendly program and onboard storage set it once and done! – The beautiful and reliable Pixart 3310 sensor! – Lacks the overzealous lighting of other companies, and comes with the ability to turn the lights off! – Scroll wheel is lack luster and could use some work.